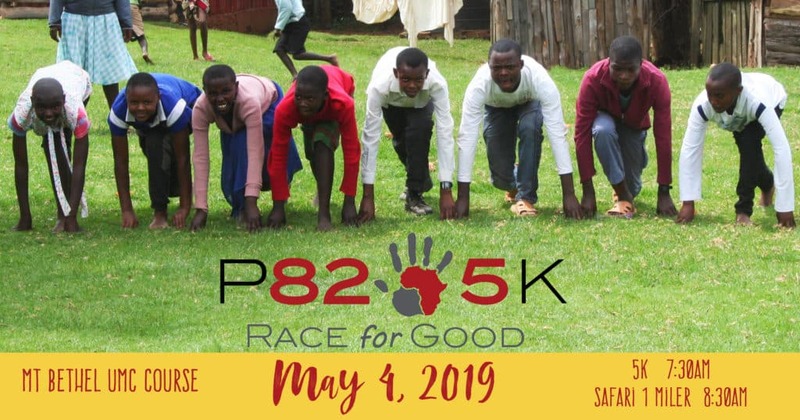 Project 82 Kenya is pleased to announce the second annual 5k and 1 mile Safari Run. All race proceeds will benefit our family programs in Kenya.  Sponsors higher education to break the generational cycle of poverty.  Invest in moms and dads so families will have a stable and sustaining income.  Work with local authorities so infants can be adopted or reunified into forever families.  Provides vocational training so every young adult can find a career. ❤️ Builds a safe and loving community for our children to grow up in. The course is a USATF certified course (#GA12047WC). This is a flat and fast course that will be chip timed. Come prepared for your best race! Each entrant will receive a unique race shirt, and all finishers will receive a special commemorative item from Kenya. Additionally, top AG winners will receive medals attached to beautiful beaded necklaces made in Kenya and brought back specifically for this race. 1 mile kids Safari 1 Miler – t-shirt and finishers prize for 12 & under.